As those of you who follow us know, we don’t recommend rice cereal as baby’s first solid food. Instead we recommend slightly cooked egg yolk, with grated frozen liver from pastured animals and a pinch of unrefined salt. 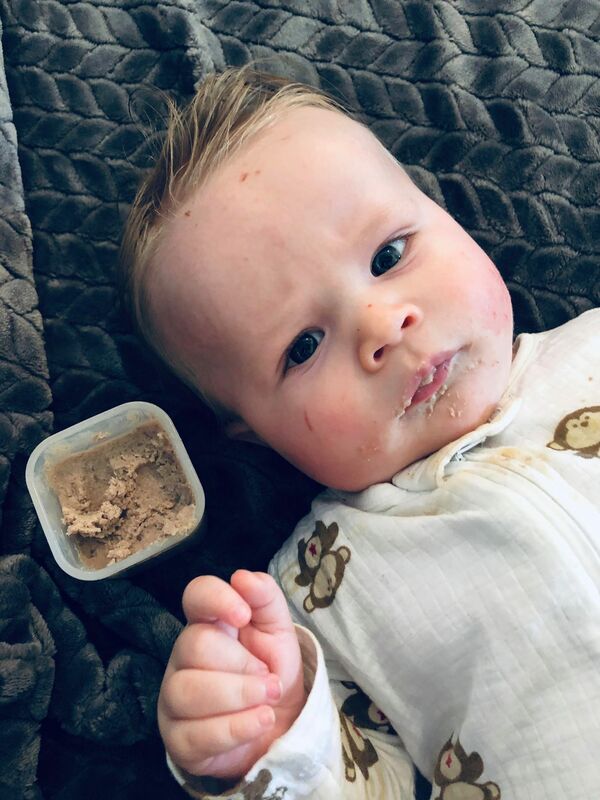 Some of our additional recommendations are reflected in the photos one of our community members captured of food she has made for her 6 month old boy. Kristen Schmidt either steams or boils vegetables and then purees them with traditional fats such as ghee, tallow, and lard. She also adds a pinch of Himalayan salt. 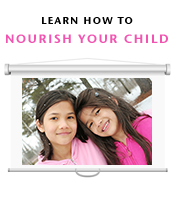 As you’ll see, nutrient-dense liver and nourishing bone broth is included in her son’s diet. Pictured below are beets with ghee, and carrots with lard. Ghee is a form of clarified butter created by skimming the milk solids out of melted butter. You can make your own or purchase it. Sandeep Agarwal of Pure Indian Foods talks about the benefits of ghee in this Wise Traditions podcast episode. We recommend that all vegetables be organically grown, and that the traditional fats be from pasture-raised animals. Jen Allbritton, a Certified Nutritionist and the author of the article Nourishing a Growing Baby encourages us to add a pinch of salt. She explains that while many books warn against giving salt to babies, salt is actually critical for digestion as well as for brain development. Use unrefined salt, such as Celtic Sea Salt, to supply a variety of trace minerals. Next is sweet potato, bison tallow and broth, then grass-fed beef, liver, and tallow. Which are good fats and oils for children? Good fats and oils can be an inherent part of the food children eat such as the fat in meat and fish and fat in the vegetables, nuts, and grains; or they can be added to foods through cooking and as dressings and sauces. A spoonful of a particular fat or oil can be easily added to soups, stews, mixed dishes or hot cereals. Good fats are quality dairy fats from grass-fed cows, such as butter, cream and whole milk. Good fats are natural fats from properly fed animals, poultry, and fish. These animal fats supply true vitamin A, vitamin D and the proper cholesterol needed for brain and vision development. The animal fats also supply other fat soluble nutrients that support the immune system such as glycosphingolipids. Fish oils such as cod liver oil also supply important elongated omega-3 fatty acids as well as vitamins A and D.
Good oils are those readily extracted from fruits such as olive oil, palm oil, coconut oil, and they are traditionally unrefined. Good oils are also those that are unrefined and extracted from many nuts and seeds. Some of these oils are called omega-3 oils, some are called omega-6 oils, and some are called omega-9 oils. Oils with plenty of omega-3 include flaxseed oil and perilla oil; those with moderate amounts of omega-3 fatty acids include unrefined canola, soybean, and walnut oils. However, for various reasons, most canola and soybean oil should be avoided. Many oils such as unrefined corn oil, safflower oil, and sunflower oil do not have omega-3 but are typically high in omega-6 fatty acids and they should be used only in very small amounts. Foods should be chosen so that they supply a mixture of these different fats and oils. No one fat or oil can properly suit all purposes, although many of the good quality animal fats come close. Children need enough of the stable saturated fats, they need enough of the monounsaturated fats or oils, and they need an adequate amount and a proper balance of the essential fatty acids, which come primarily from the omega-3 and omega-6 oils. Learn more in our post that covers Resources for Baby’s First Solid Food, and in these books we recommend: Super Nutrition for Babies, The Nourishing Traditions Book of Baby & Child Care and Nourished Beginnings Baby Food. What are your favorite traditional fats?